Which was the deal --- juke boxes servicing movies or movies servicing jukeboxes? At least one Pot O’ Gold venue proposed the answer by putting a nickel player in the lobby, even inviting patrons to dance. Was this in lieu of Pot O’ Gold in the auditorium? Nominal stars were James Stewart and Paulette Goddard, but Pot O’ Gold also had Horace Heidt and his Orchestra, them more a focus for selling, especially where Heidt took the stage as accompany to the film. A name band could reliably pack a house even where the screen attraction fell down. In fact, the movies were often as not a chaser, or at least opportunity for an audience to calm down toward a next musical aggregate. Pot O’ Gold alone, especially today with years having taken their toll, seems a very definition of silly, if not time-wasting, all more damning the fact it is Public Domain and so more of a pestilence upon viewership. 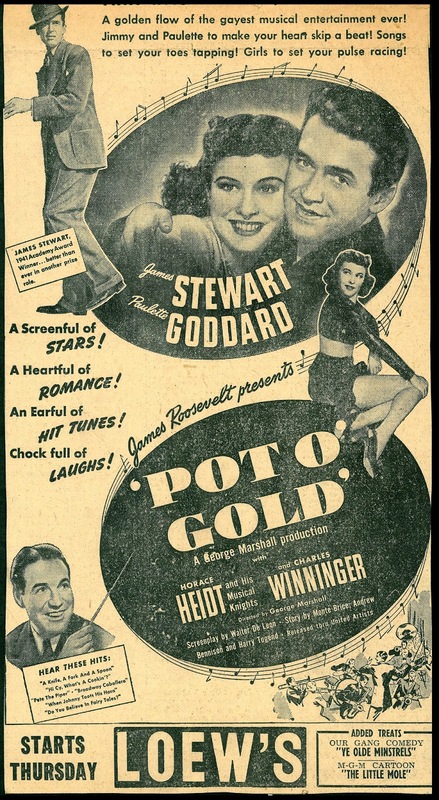 James Stewart expressed disdain that Pot O’ Gold should be among most visible of his old films, especially as there was little to recommend the show. That’s a modern viewpoint, and understandable, but 1941 crowds, high on Heidt, Stewart, P. Goddard, whatever activated turnstiles, were well-satisfied if United Artists rentals are any guide. Stress outside theatres made relaxation inside all the more imperative, being as how war was coming and everyone knew it. 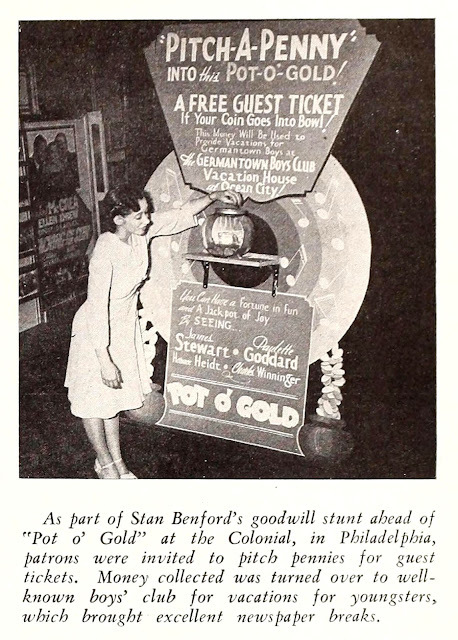 Pot O’ Gold and musicals like it before the war or during were as sure a bet as westerns done cheaply enough. 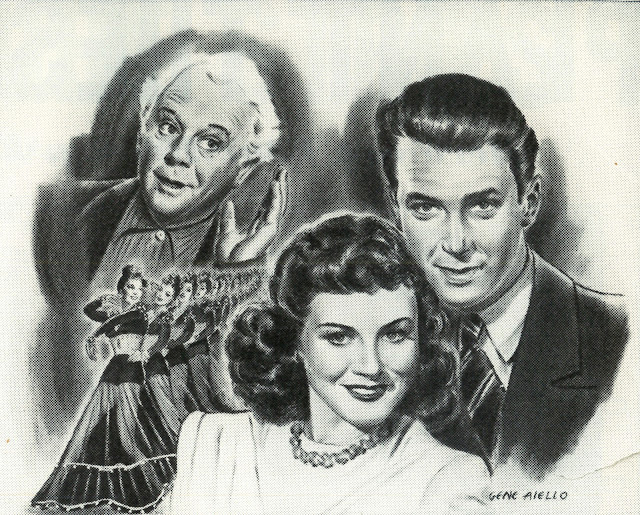 Producer James Roosevelt, son of yes, him, came from background of Marine service, radio, insurance selling, work for his father, then flirtation with the show world via work for Goldwyn. 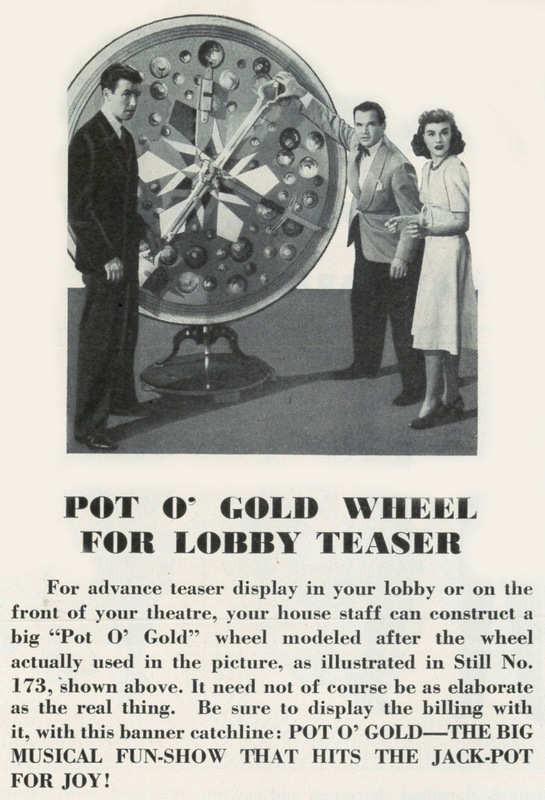 Pot O’ Gold was a sole feature venture and worth a pot in publicity for Roosevelt’s involvement. The set-up was independent, with release through UA, Roosevelt likely heir to the negative, which is maybe how failure to renew the copyright happened. 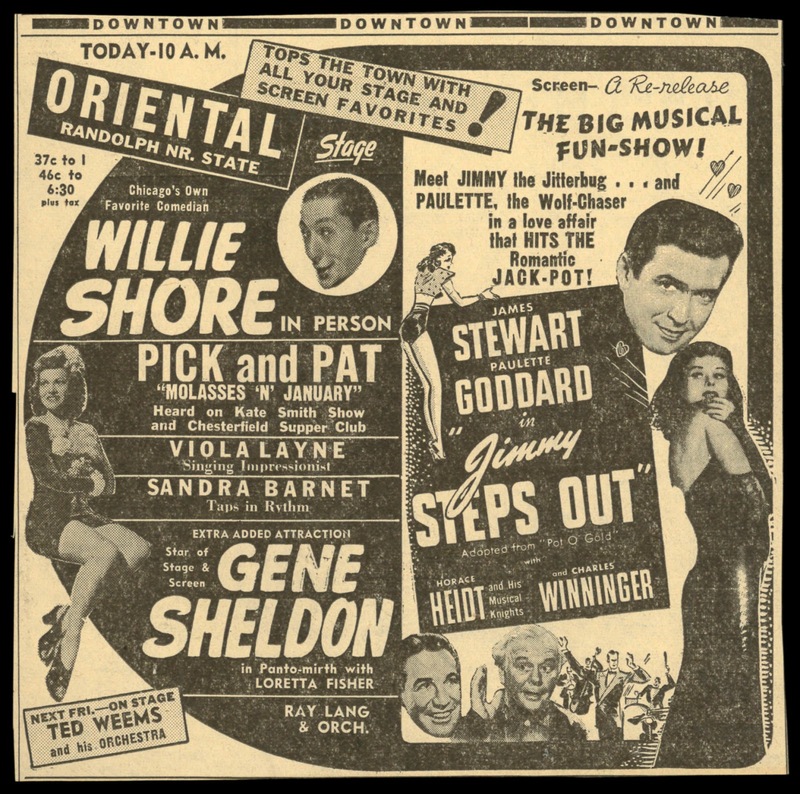 There was a reissue in 1948 under the title Jimmy Steps Out, which was marginally less exploitative of its star, as Stewart's character in Pot O’ Gold was at least named “Jimmy.” A slant for smaller towns with no access to name bands was contests for local swing groups. These were thick as flies where country clubs, school dances, etc., needed live music to celebrate by, and winning a battle of bands was means by which regional bookings could be had, or increased. Theatres sought the darkness, within and without. Their natural enemy was daylight savings time, which translated for them to more outdoor activity that kept customers away from indoor auditoria. They’d fight daylight savings wherever it was proposed. Bad enough that summer months had heat plus a late setting sun. So often it seemed nature itself worked against exhibition. A best DVD of Pot O’ Gold is from Image-Hal Roach, all the rest strictly pot-luck. I've always enjoyed POT O' GOLD thoroughly. Sure, it's silly, but the music is good and the cast is enthusiastic. I've seen a lot worse in the musical line. 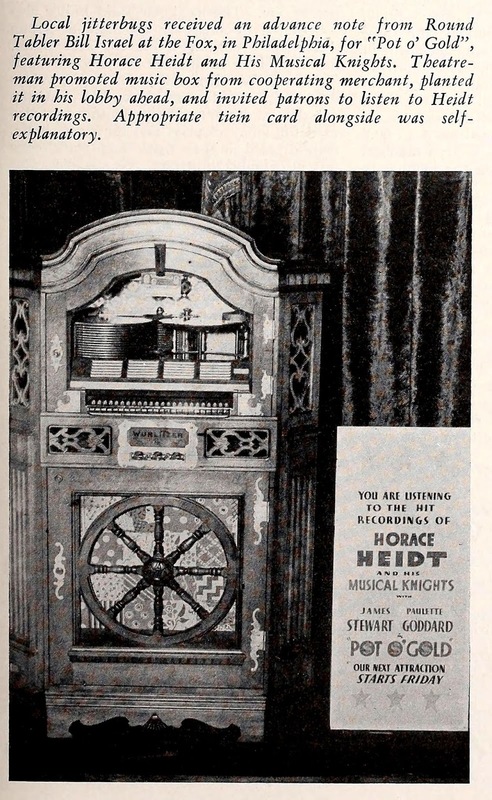 (Watch for Art Carney making fleeting appearances; he was then with Heidt's band.) I remember seeing a review in the Motion Picture Herald that compared POT O' GOLD to the efforts of a master chef preparing an excellent meal with ordinary kitchen ingredients. Roosevelt was also the driving force behind the "Soundies" musical shorts for movie jukeboxes. His "Globe Productions" Soundies are quite lavish, and some of them were filmed using the POT O' GOLD personnel and facilities. This is not related but I decided to bring it because you mentioned it a few years ago in a post dedicated to Tyrone Power in which you mentioned the THAT'S HOLLYWOOD (1976-1982) series. The 20th Century-Fox series has just resurfaced in videos recorded in Spain. Here are 26 episodes that aired in 1993.